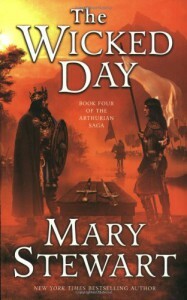 The Wicked Day is the final volume in Mary Stewart’s Arthurian saga, which began with The Crystal Cave. Unlike the first three books in the series, where Merlin is the first-person narrator, The Wicked Day is told in the third person but focuses on the life of Mordred, Arthur’s illegitimate son, born of his incestuous tryst with his half-sister Morgause. In Stewart’s vision of Arthur’s Britain, he and his son are hapless pawns in a tragic fate that neither desire. It would make for a great story – two decent, well-meaning men who love and admire each other but who cannot overcome circumstance and find themselves mortal enemies. And in Stewart’s hands it’s a decent enough story but it lacks any passion. That – in retrospect – is the problem with the entire series. Only rarely did I feel any emotional connection to the characters. Even in this book, where you might expect a more direct connection to events, so much happens that is mere reportage. The first third, the best part, recounts Mordred’s life as a foster child, unknowing of his heritage, in a fisherman’s hut in the Orkneys. When he’s of age, Morgause plucks him from obscurity to raise him in her court, and we get a sense of how the later man developed. But then we get to the later sections and it’s "well, several years pass, and Mordred ...." And the ending feels rushed, as if the author crammed into the last 100 pages the equivalent of all the material she had lingered over in the first three books. 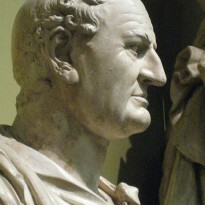 I want pathos in my tragedies. I want to feel the agony of Arthur, Guinevere and Bedwyr’s love; the friendship between Arthur and his son; the despair when, despite all, Arthur’s dreams collapse in bloody ruin. Then the rain, and the creak of rowlocks, and the sound of women’s weeping fading into the lapping of the lake water and the hiss of the rain falling. His cheek was on a cushion of thyme. The rain had washed the blood away, and the thyme smelled sweetly of summer. I still like the books enough to recommend them to readers interested in Arthurian mythology, if no one else. I’ve always liked the Mordred character and Stewart creates a plausibly good-but-flawed man in her version. And she writes luscious, vivid descriptions of place and people when she has a mind to.